Coenzyme Q-10 is a vitamin-like nutrient, a powerful antioxidant, which is present in each and every cell of our body. 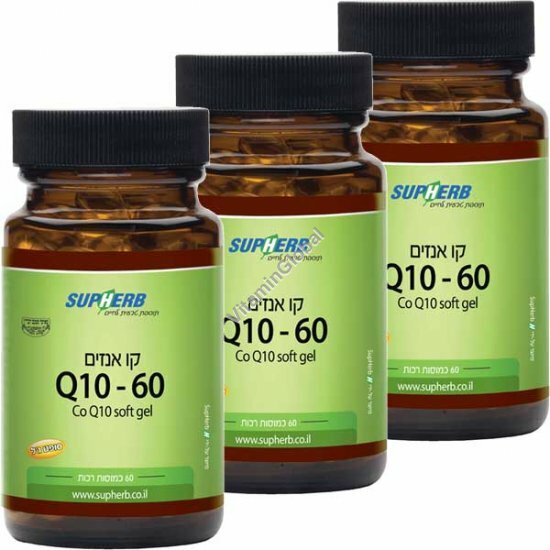 Coenzyme Q-10 is a vitamin-like nutrient, a powerful antioxidant, which is present in each and every cell of our body, and its highest concentration is in the heart, liver, brain and gum cells. Coenzyme Q-10 posses a role of the utmost importance in the cells of the body; It is involved in energy production in the cells, and mainly in producing energy in the heart muscle cells. Actually, Coenzyme Q-10 supplies the spark for initiating the energy production process in the cells. After age 25, and as we grow older, the ability of the body cells to generate this essential nutrient becomes impaired; therefore, daily nutritional supplementation is so important.